Have you heard the news? California is expecting a severe drought this year. Record dry conditions severely impact the water reserve levels for this year, but there are ways reduce water usage without sacrificing the beauty of a garden. Our Thousand Oaks landscapers share some useful information on how to save water and have a beautiful garden at the same time! Having native plants in your garden will reduce the use of water. In addition to being very beautiful, local plants are used to the weather conditions. Some of the native plants of North and South California that you can enjoy in your garden are: Abyssinian Acacia, Acapulco Night Hybrid Daylily, Aeonium, African Boxwood, African Daisy, African Queen Butterfly Bush, African Sumac, Alkali Sacaton, All That Jazz Bearded Iris, Allan Bloom Hybrid, Allen Chickering Cleveland Sage, Adam's Needle. 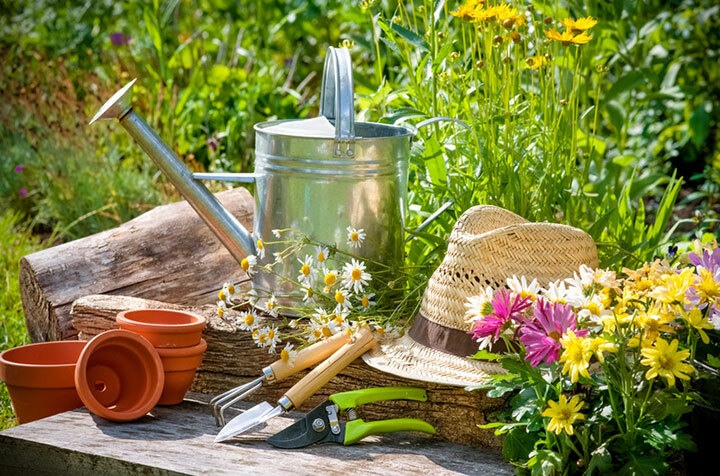 At Gonzalez Landscaping & Tree Service we not only do business, we care for our environment and provide our clients with convenient and friendly solutions for their garden. We take pride in our years of experience and in our highly qualified garden Thousand Oaks landscapers to create beautiful surroundings, inspired landscape and personalized environments. Avoid using turf grass in your garden, the thirstiest plant of all. Categorize your plants, placing the ones that use about the same amount of water together. Water your garden when needed and do it preferably at night, when evaporation is lower, and the air is calmer. Keep an optimum soil for your garden. Use compost to improve the quality of the soil; organic matter is always good for your garden. Reduce the soil and air temperature by planting trees. If you have plants in containers, group them in a way that the bigger ones can give some shadow to the smaller ones. And try to place your container plants in the deepest shade they can tolerate. With these tips, you can improve the conditions of your garden and switch to a more environment-friendly one. Remember that at Gonzalez Landscaping & Tree Service, we have highly qualified and experienced Thousand Oaks landscapers that can help you achieve this goal!